This beautiful ring is made from wax carving and casting of 14-kt yellow gold. Flower pedals and a more romantic time era inspire this cocktail ring. 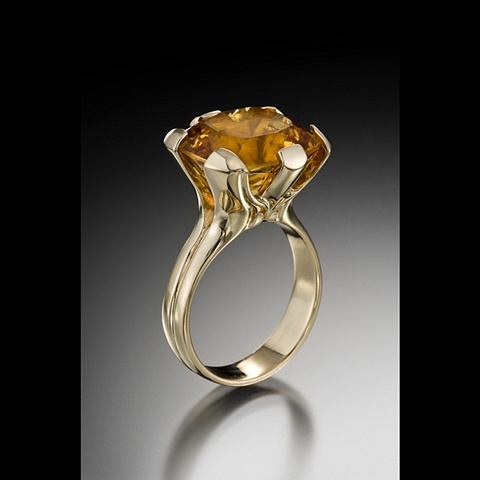 It has a custom cut 15.8X14.5mm 14-carat Citrine.